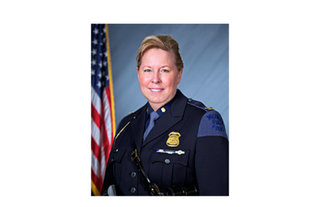 Michigan State Police Director Col. Kriste Kibbey Etue will be losing out on five days’ pay for violating the department’s social media policy after she reposted a disparaging Facebook meme that targeted NFL players protesting police brutality and other social injustices. According to the Detroit Free Press, Michigan Gov. Rick Snyder announced the slap on the wrist of a disciplinary action after fielding calls for Etue’s resignation. But, never fear, Snyder also announced plans to review the culture across all state government departments and take a closer look at inclusiveness, sensitivity training, implicit bias, social media use and police recruitment. Etue, according to Snyder, had a 2016 salary of $155,000 and will be expected to be at work and show leadership for the days that she is not paid. Dear NFL: We will not support millionaire ingrates who hate America and disrespect our Armed Forces and Veterans. Who wins a football game as ZERO impact on our lives. Who fights for and defends our nation has EVERY impact on our lives. We stand with the Heroes, not a bunch of rich, entitled arrogant, ungrateful, anti-American degenerates. Signed, We the People. The fallout also came at a time when the department was under scrutiny and facing protests in the death of 15-year-old Damon Grimes, who died in August after a state trooper deployed a Taser at the teen through a police-vehicle window during a pursuit, in direct violation of police protocol. Damon crashed the ATV that he was driving during the chase and died of head trauma, according to the Wayne County Medical Examiner’s Office. Facing backlash, Etue apologized twice but insisted that she had no plans to resign. Community activists have shared their disappointment, pointing out that it is not enough that Etue just misses out on part of her paycheck.